Cambridge Earns ISO 9001 Recertification | Cambridge International Systems, Inc.
Cambridge International Systems, Inc. (Cambridge) is pleased to announce that, following a rigorous external audit of its management system supporting the design and provisioning of National Security and Defense Services, the audit firm NQA has recommended Cambridge for ISO 9001:2015 recertification. 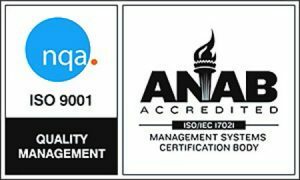 ISO 9001 is the world’s most recognized and widely used standard for Quality Management Systems. It provides a framework and set of principles that ensure a common-sense approach to the management of an organization to consistently satisfy customers and other stakeholders. Cambridge has been certified under ISO 9001 since 2010 and this recertification will extend that recognition to 2022.